Glitz Design Has Jewelry For Everyone On Your List! We're almost at Christmas, less than a month to go until we reveal all that we've worked so hard to achieve. And we still have so much more to show you. It's been so much fun working with all these brands and some of them have been on more than one campaign. Glitz Design is one of those brands. A few weeks ago they sent us the ring sizer that is the perfect accessory to any ring shopper. This Sizer is easy to use and measures all the way up to and pasta 14. It looks just like a mini zip tie without the Locking click. You can check that out Amazon. Glitz Design has so many jewelry options to come up with the perfect gift for the one you love. I was browsing their site and I saw so many cool earrings necklaces and even accessories to complete any style or outfit you could imagine. 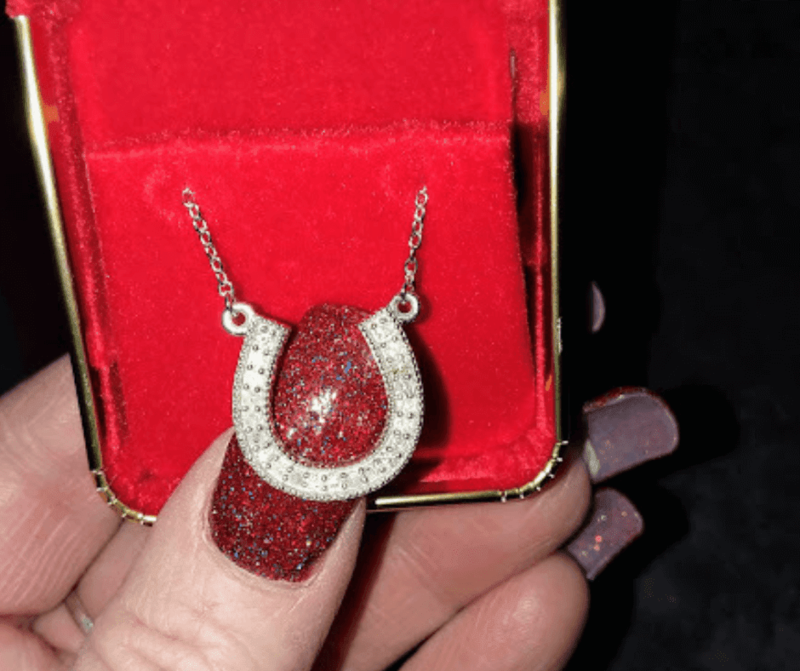 For our review, we received the Horseshoe necklace. 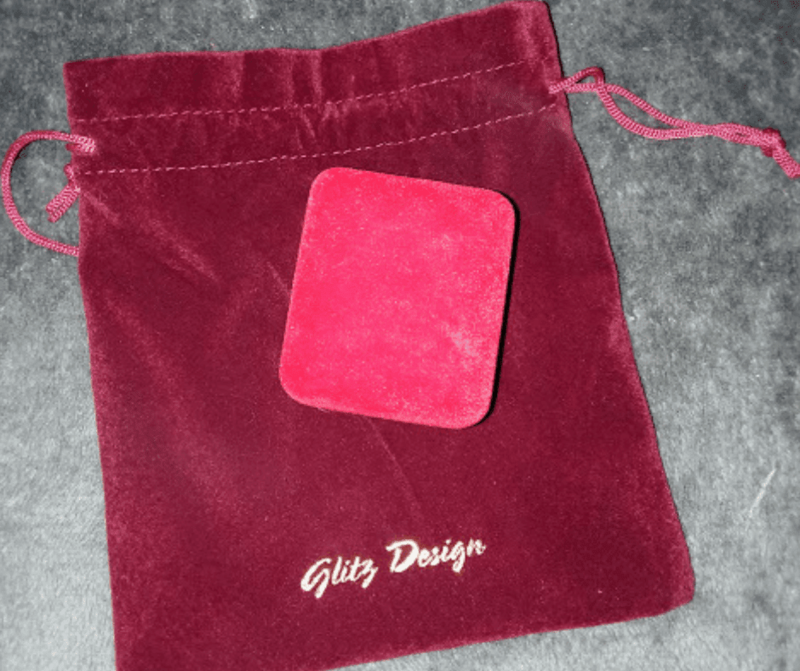 I was so impressed with Glitz Design from the delivery on with our package. There was a velvet bag and inside was a beautiful red case with a necklace inside of it. Who needs to gift wrap with a presentation like that? The necklace that I picked is the 14k gold on sterling. There is a silver tone and a gold toeI love it when companies are considerate of the consumer's preference. Everybody's different with their own style. They're both beautifully crafted and shiny, making amazing gifts for the holiday season. The horseshoe is not on a loop. Its the center of the chain. I really love the look of this piece. Glitz design has a really amazing sale going right now and it has a little bit of everything including earrings rings necklaces and more. You can shop for everyone on your list and know that they're going to be so happy to receive your gifts. Snake shopping at Glitz Design even better they offer free shipping and 30-day returns. What more can you ask for for a jewelry brand? You can check out Glitz design on their website and on the social media channels. Twitter ~ Facebook ~ Pinterest ~ YouTube ~Google+. I received this product for free to facilitate this review if you have any questions please feel free to email me directly.